ENUGU - WITH a view to position the South East and South-South regions to attain self-sustainability and economically viable for both import and export of goods and services, a civil liberty group, the Concerned Enugu Citizens, CEC, has called on the President Muhammadu Buhari-led federal government to immediately declare all the ports in the region open for business. Speaking to our correspondent on Monday in Enugu, the group’s Media and Publicity Secretary, Mr Elijah Egwuonwu said it is indeed time for the resuscitation of seaports in the region which he noted with dismay, has suffered years of reckless abandon by the government. According to Egwuonwu, “We, the Concerned Enugu Citizens (CEC), do hereby unequivocally declare that the opening of all Connecting Ports to the region is strategic in a bid to finding lasting peace in the region amongst other declarations which through several organizations, has been tendered to the government by our people. “The CEC hereby demand that the Federal Government of Nigeria should forthwith resuscitate the numerous seaports in our region including but limited to: the Sapele, Warri, Burutu, Koko, Port-Harcourt, Eleme, Calabar, Akassa, Okwagbe, Wimprey, Onne, etc, which were prior to government’s negligence, a major source of financial income to the people of the region as well as massive means of employment to the teeming number of presently unemployed indigenous people of the region. “Whereas the stated seaports have been plagued by harmful government policies such as charges that are absolutely outrageous comparable with what obtains at the Lagos seaports as well as utter lack of maintenance or outright abandonment of the said seaports by the government of Nigeria. “For example, with regards to the city of Sapele and the Sapele seaport, the British established a vice consulate in Sapele in 1892, and the city of Sapele grew in importance as a port city and which thereafter came under British rule in 1894 and served as a local administrative center till even very late into post-independence Nigeria. 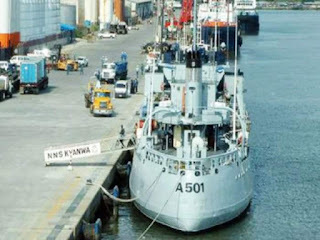 “However, today, the city of Sapele and its historic seaport that comfortably and conveniently rivalled the seaports of Lagos is now a shadow of its former self, no thanks to deliberate and strangulating policies of the Federal Government of Nigeria which converted the Sapele seaport to a Naval Engineering Training College and/or Naval Logistic Base. 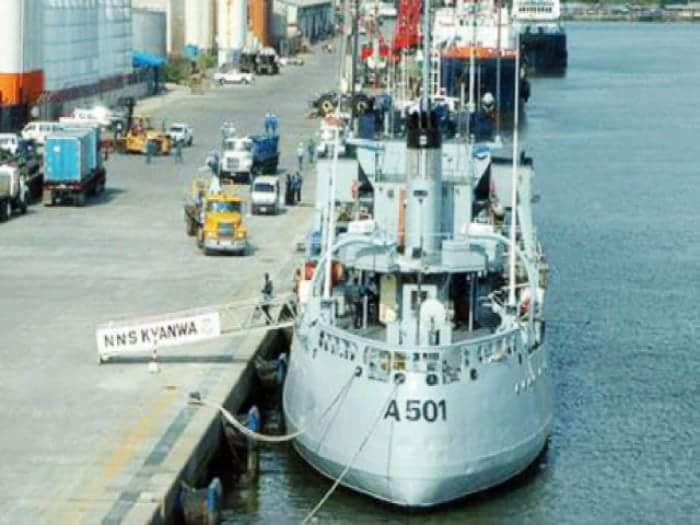 Although it (NET college/Logistic base) was later ordered to be relocated to Oghara and the Sapele seaport reinstated in 2001 by the House of Representatives, it has till date remained comatose. “The endemic poverty in the region today is attributable to the deliberate economic blunder of the Federal Government of Nigeria which has engendered economic injustice to these Seaports whilst a few in Nigeria persistently got FG attention. And although attention was shifted to oil exploration in the area, it was done with selfish agenda to favour few others over the real owners and the Nigerian State. “The Federal Government must ensure she does justice to these seaports by ensuring all of them are reopened for services to the region and Nigeria. Especially judging from the fact that the few whose government skewed policies have favoured are over-congested. We hereby call on the government of Nigeria to start and expedite works on the Akwa Ibom Deep Sea Ports, Delta State Gas City Project, the opening of the State Inland Water Way Terminals, including Kogi State and Benue State, the opening of the Inland Port Terminal at Onitsha, Anambra State, the proposed Sapele-Okpe Industrial City Project which are at this time critically required to provide employment and wealth to the indigenous people of the Eastern region and Nigeria in general. “We must state here that the one acceptable strategy to put an end to the present crisis rocking the Niger Delta is socio-economic empowerment. “We call on the government of Nigeria to commit itself to development of the Eastern region and the creation of jobs to the youths and militancy will naturally hide its face thereafter. “The use of military might and tactics will stoke even greater insurrection against the state, thus, the federal government must look into these declarations critically and jump-start the needed development of the region with a view to creating a better environment for business to thrive and the resultant greater employment opportunities that will follow.